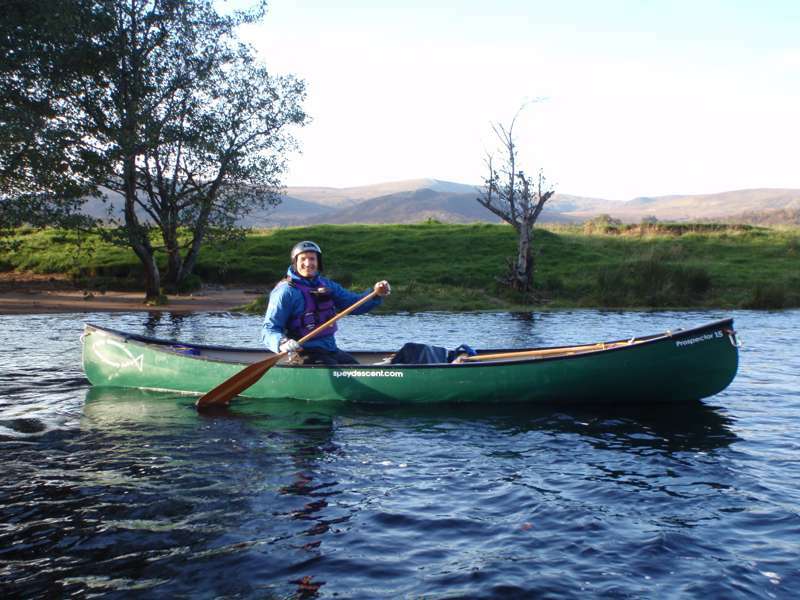 A fabulously comfortable and cost-effective base for activities and exploration in the Cairngorms. The perfect Highland retreat for a large(ish) group of friends, The Crofthouse is situated on Roy Abel's farm in an exquisite Highland location, and kitted out with all mod cons and home comforts. 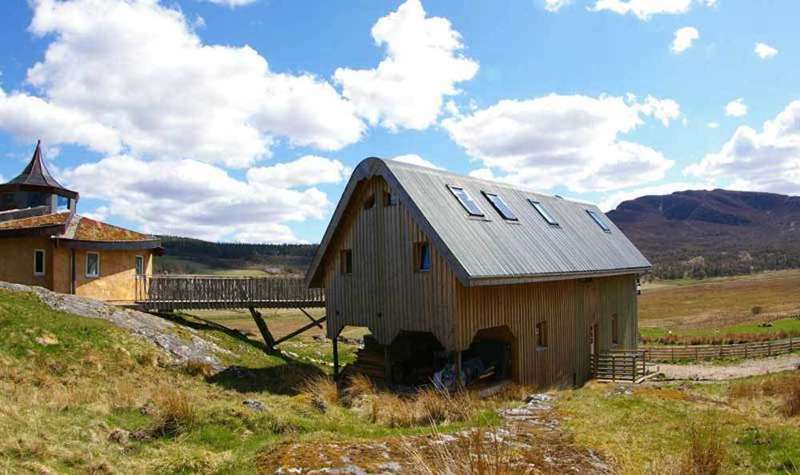 It sleeps eight and is perfect for small groups seeking a base in the heart of the Cairngorms National Park. Visitors are made to feel very welcome on this working farm, and it's dog-friendly too! The Crofthouse itself is almost Scandinavian in feel, pine-clad outside and in, with a large open-plan living area, a family room that sleeps four and four further beds in two separate spaces in the loft. It's no slouch when it comes to state-of-the-art facilities, with underfloor heating, wifi and flatscreen TVs. And remember, it's a farm, so you can you watch farmer Roy's herd of Highland cattle from your balcony. Crofthouse guests can even use the new 25m2 Crofthouse Studio free of charge. Here you can dance, draw, do a spot of yoga hold a small-scale meeting or meditate as you take in the stunning wood and mountain views. The location isn't far from Aviemore, with all its activities and funicular railway. Nighttime can reveal some truly spectacular starry skies. Visitors, guests and volunteers can enjoy a unique and inspiring experience at the Crofthouse. They can learn about the care and breeding of the iconic horned Highland Cattle parading the farm pastures below the house and at the roadside. There is an uninterrupted view of Upper Strathspey, gazing upstream to the mountains of the west. Despite the tranquil surrounds we are close to the many adult- and child-friendly recreations of the Cairngorms National Park. Additionally, the novel design of the Crofthouse intriques visitors of all ages! Here we find the headwaters of the river Spey in the ancient kingdom of Badenoch 'The Drowned Land' – so named for its tendency to become a giant serpentine loch. At times of snowmelt we find the floodwaters lapping up against the rock walls marking the passage of ice giants; and morraines dumped by melting glaciers becoming temporary islands. It is the landscape therefore that embeds itself in the mind. Human history is here aplenty with the former seat of Clan Macpherson at Cluny Castle and the clan rally celebrated every summer in Newtonmore, but it is the contrast of valley and mountain that provides constant sources of delight. The seasons pass over the valley and uplands like cloud shadows in summer, hiding and revealing colours and contours, so that the landscape sometimes takes on the quality of an ocean in its changeability. Let's not forget the wildlife: hares and voles among the grassland, peregrines and ravens leading young from rocky perches, migrant harriers working the marshes, buzzards and even the golden eagle patrolling the slopes above the farm. For those who want to venture deeper into the Highlands the Crofthouse at the Roundhouse is located close to Aviemore and Rothiemurchus (both a 40 minute drive away) with all their outdoor pursuits, as well as the CarinGorm Mountain (01479 861 261) funicular railway. Outlander fans won’t want to miss the Highland Folk Museum (01540 673 551) in nearby Newtonmore (7 miles away); the picturesque Highland village was also the setting for the BBC series 'Monarch of the Glen'. The nearest pub is at the Glen Hotel (01540 673 203), which is 4 miles away on the outskirts of Netwonmore. It serves consistently good pub food and superb real ales, with the growing number of regional brewers regularly featured and updated. Newtonmore also has a number of cafes, a good restaurant at the Letterbox (01540 673 231). Mehmood’s (01540 673 377) is a sit in or take-away curry house that will intrepidly send bemused delivery riders down the road to deliver pre-ordered meals to the Crofthouse! The Crofthouse is let to one group at a time. It is a place where families thrive, friendships are celebrated and enjoyed, and shared activities can be pursued in peace. Outdoors there is the freedom of farm woodland and pasture. For the more ambitious, heather moorland, mountain ridges and Munros are all within easy hiking distance. The new Studio Space provides a different dimension: something more than just friendly accommodation, it is one of those creative places that begs to be used by individuals or groups in ways that we often don't have time for in our daily lives. Sleeps up to 8 in a family room with 1 double bed + 2 in an adult bunkbed and 4 single beds in 2 loft spaces. Exclusive hire only: Monday–Thursday £132 a night, Friday–Sunday £144 a night. June–August 7-day bookings only – £596 a week in June, £696 July & August. SatNav is unreliable so follow the A9 to Newtonmore, and at the west end of the village take the A86 in the direction of Laggan/Fort William. On exiting the village, cross the river and continue for just over 3 miles; the farm is on the left (south) side of the road with big signs of Highland cattle on the gate.